The stock market’s volatility continues to be lacking recently. 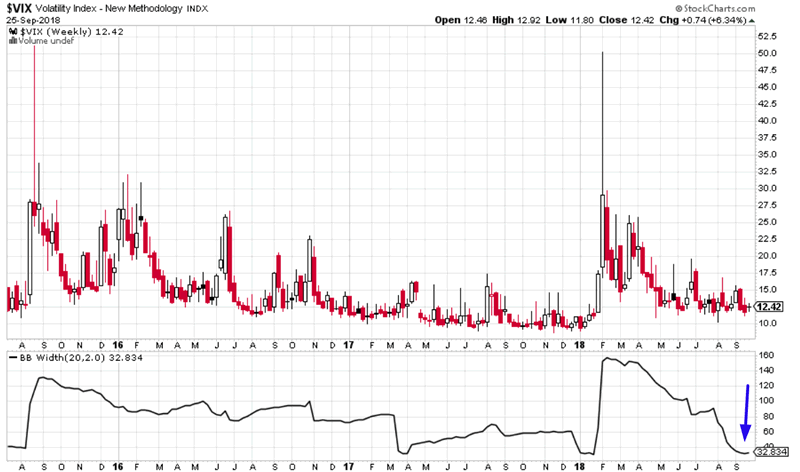 VIX has completely collapsed, and is now trading sideways in a narrow range. You can see this via VIX’s narrow weekly Bollinger Bands. VIX’s 20 weekly standard deviation is now <1.06. 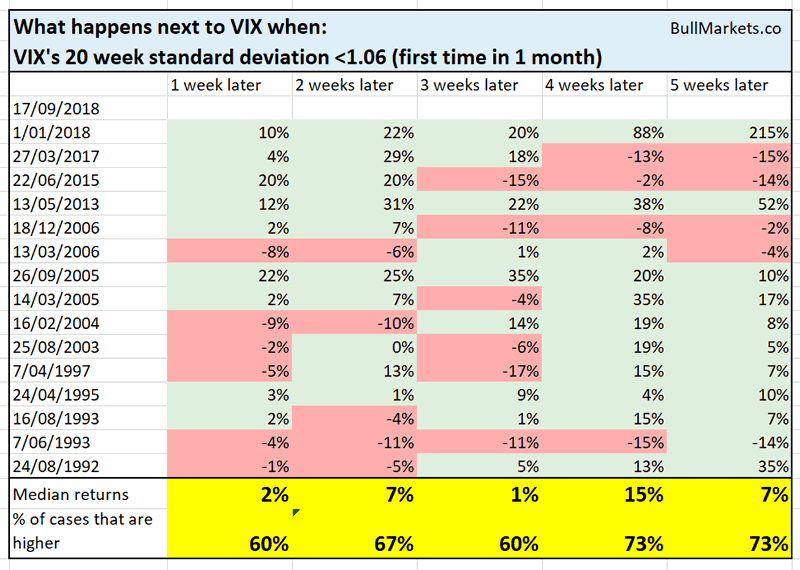 Historically, this means that VIX tends to rise within the next 1 month. Spikes can be huge. This suggests that short term traders can try going long VIX right now. 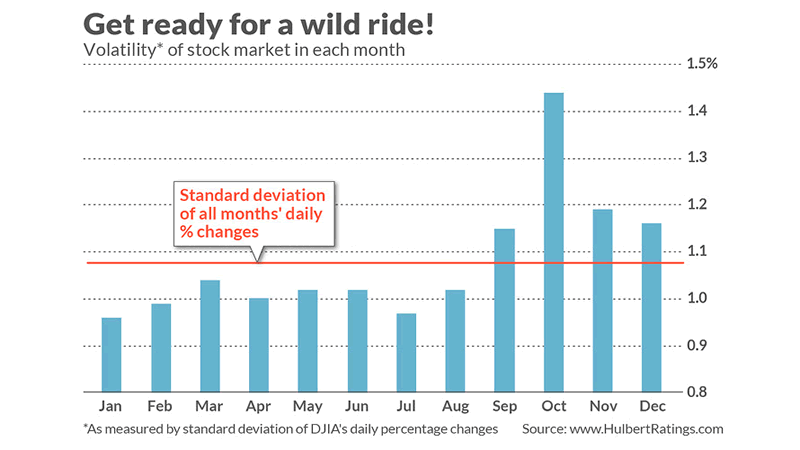 Also remember that October tends to be the most volatile month of the year for the U.S. stock market (seasonality). Meanwhile, the S&P 500 has gone 64 consecutive trading days without a >1% gain or loss. Here’s what happens next (historically). Notice how the stock market’s forward returns aren’t necessarily bearish (except for the short term). However, the stock market does become more volatile.